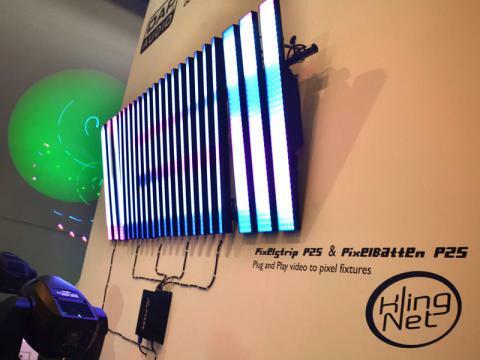 ArKaos has designed the Kling-Net protocol to allow the distribution of real-time video data to remote display devices, such as LEDs or LED panels, over Ethernet. Many first time users are afraid of using LED lighting because of the complexity of networking and control issues. 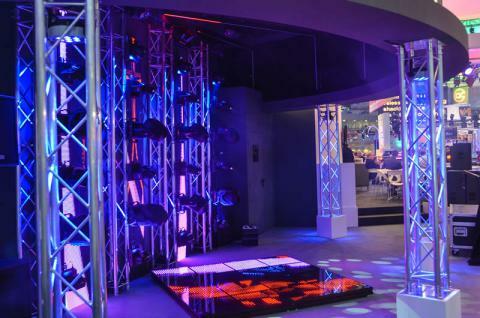 Using and networking LED lighting has required a high level of technical knowledge which has been a deterent for many. We wanted to remove all this complexity and replace it with an easy protocol which automatically takes care of the magic numbers for the user! Kling-Net uses a Media Server to do all the work, making operation simpler than ever. It adds a layer of ‘intelligence’ to even the most simple LED device, enabling it to talk directly to the Media Server. This then enables the LED devices to configure themselves automatically, removing the need for complicated setup processes. Kling-Net’s auto configuration capabilities allow a large range of devices to be controlled by the same Media Server, thus avoiding the painful process of creating and matching profiles between the Media Server and each individual device. 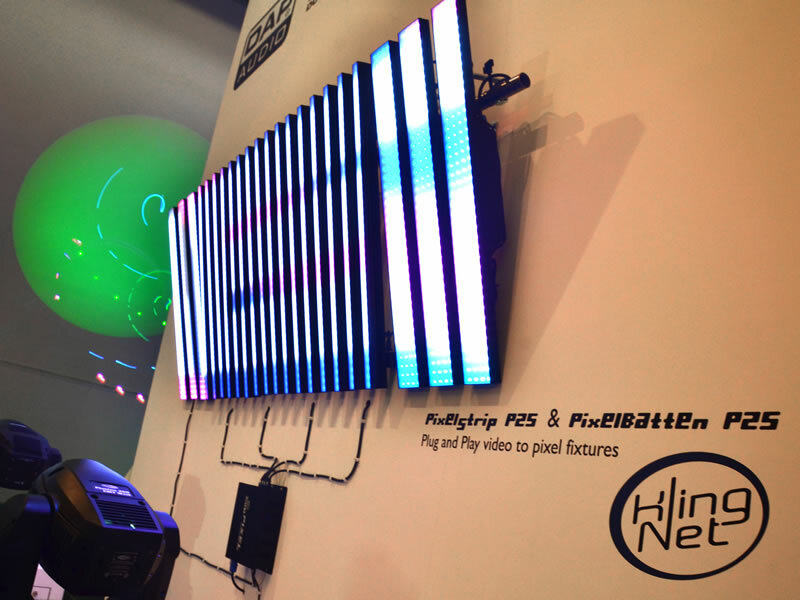 At power up, the LED devices are detected and configured automatically by Kling-Net before sending their resolution and pixel format to the Media Server. The Media Server can then read and change parameters from the device. This makes the whole process extremely fast and easy, while minimising the potential for mistakes! Once a device is registered to a Media Server, it will start receiving video frames, as mapped by the user onto the Media Server’s display, in real-time. Because the Media Server performs the image clipping and transformation then outputs the correct pixel format, the work to be done by the display device is minimal. And since the Media Server does all the work, your video can play at a smooth 60 FPS. In order to allow auto configuration of display devices, some intelligence needs to be added to standard LED devices. A small micro controller is used to implement the support of the few network messages exchanged with the Media Server. That processor is very inexpensive to ensure a low cost duplication for the manufacturers. Network messages are managed by the Media Server and sent as either Broadcast or Unicast messages, with the default being Unicast to optimize the amount of ‘traffic’ and minimise the load of the receiver. Kling-Net also has robust error recovery enabling the Media Server to automatically reconnect. 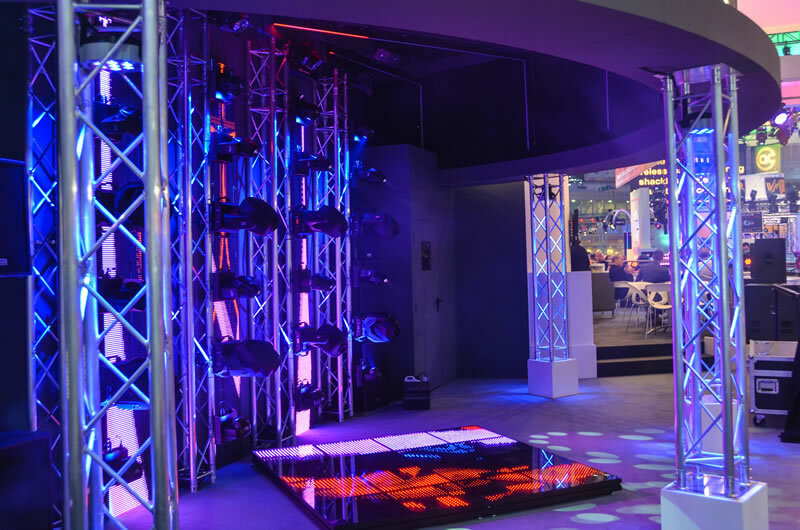 Kling-Net brings LED lighting within reach of the smallest clubs and venues by making it less technical and less expensive. LED lighting is now easy to use and cost effective; thanks to the Kling-Net protocol you no longer have to use expensive devices to obtain sophisticated control.